Traditional Festival of Serbian Brendy this year was held relatively late, in the first week of December, in a new space and with a new concept, but it is worth to wait. All praises to the organizer, Association “Srpska rakija”, for the new conception, new place of maintenance and of course the choice of participants. Very elegant and posh, without crowds, with huge selection of high-quality brandy and food for easy enjoyment. Special praise for the, on the first time, the presence of numerous domestic cheeses and prosciutto producers, so domestic fans had multiple refreshments in the tasting breaks. And about brandy, real the highest level, only a few distilleries from top of Serbian brandy production were missing. I do not want to list anyone here, we will write about some brandy on a regular blog post. 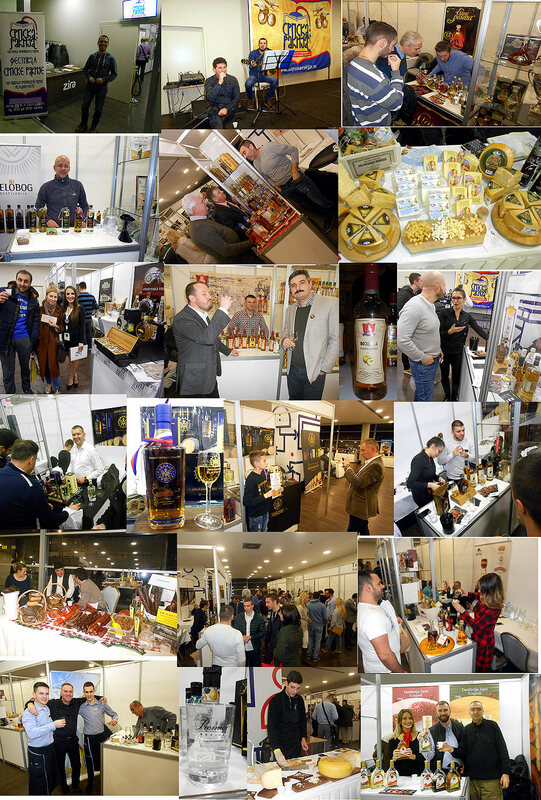 As a special interesting part of the event, I would highlight workshop made by gays from “Rakija uglavnom”blog, Mr Ilija Malovic and Mr. Zoran Radoman, with topics about production brandy of indigenous plum varieties, very informative and very knowledgeable, which has caused great interest too. For three years I’ve been following this festival and I am pleased to say that it is getting better and better, I think it should be included in the tourist offer of Belgrade and Serbia, and I can hardly wait for the next one :).